This specification covers ASTM-A193 Mechanical Properties for inch and metric size alloy and stainless steel bolting material for pressure vessels, valves, flanges, and fittings for high temperature service. The term bolting used in this specification includes bars, bolts, hex bolts, hex head cap screws, screws, studs, stud bolts, and wires. 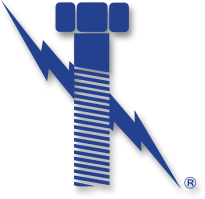 Although A193 fastener grades are available in UNC (unified national course) and UNF (unified fine) thread pitch, it is common to find sizes 1″ and larger in “8 thread” (8 TPI – threads per inch).